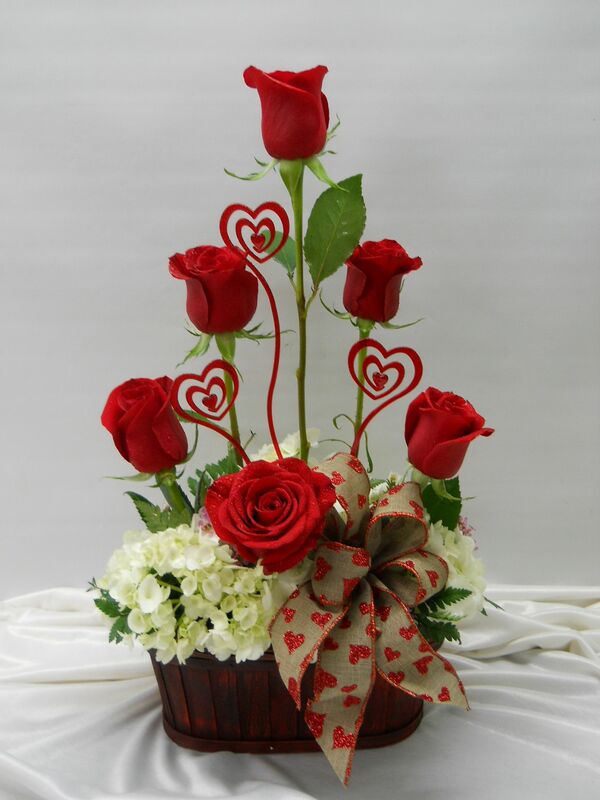 Now we’ve got Christmas out of the way, Valentine’s day is the next big event on the florist’s calendar. 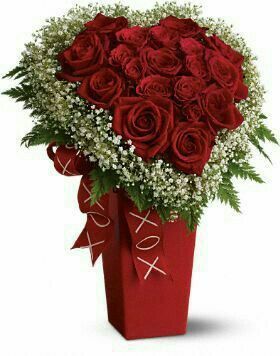 At Pat’s, we’re ready to help you select a beautiful flower bouquet for delivery in Jacksonville Florida. Giving flowers on Valentine’s day requires a little thought however – otherwise, they can feel like you didn’t make any effort. Don’t just pick up whatever is on your florist’s shelf – have something made especially for the one you love and try to give it the personal touch. Remember, you can combine flowers with accessories / other gifts to make it special. Valentine’s day for 2018 falls on a Wednesday – which means many of us will be at work. If you’re sending flowers to your partner’s work, you’ve got to impress – after all, they’ll receive the bouquet in front of all their colleagues so anything less than the best won’t do. That’s not to say you have to go for red roses like everyone else. A more romantic gesture would take into account the person’s favourite flowers and colours, or flowers that relate to a special memory that you share. Still, sending flowers to someone’s work will attract a lot of attention and the bouquet needs to be impressive. If you don’t want to splash out with that kind of money, go for a smaller, more personal bouquet and present it to your partner earlier or later in the day. Think about any accessories you could use with the flowers to make your gift even more personal. Here are a few ideas to inspire you. Feel free to take these along to your florist and ask them to make something similar but try to give them a little notice – it’s a busy time of year! 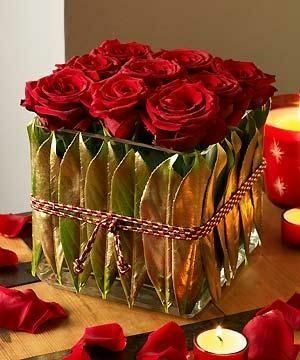 Above: This incredible bouquet makes fantastic use of foliage – around 2 dozen roses are interwoven here, for a stunning gift. Source: Pinterest. Above: this sweet floral gift uses just a few flowers combined with simple accessories to create a stunning display. Source: here. Above: This heart shaped garland in a box is truly unique. Beautifully hand crafted, it looks like one-of-a-kind. Source: here. Above: I’m totally in love with the simplicity behind this simple arrangement – beautiful, fresh red roses arranged in moss in a heart shape. Source: here. Above: Where the budget won’t stretch to a huge bouquet, this simple and beautifully done gift will be well received. Source: here. 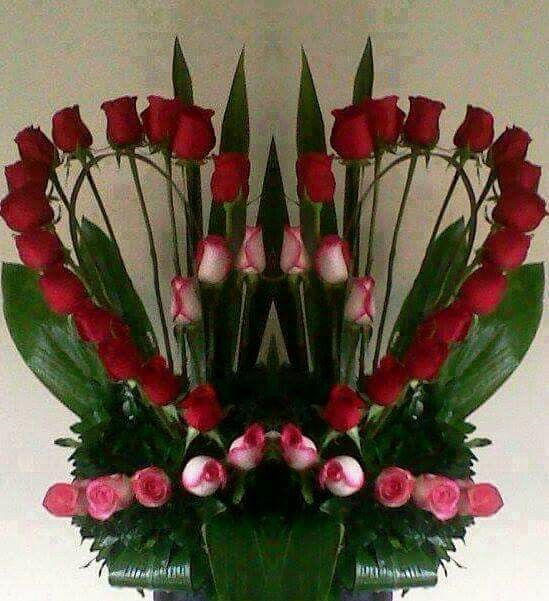 Above: If roses alone aren’t enough to say I love you, perhaps this heart will make the right statement! Source: here. Above: Okay slightly kitsch but how sweet is this little teddy on his swing above a dozen red roses? Very cute. Source: here. Above: On a similar theme, this design takes simple roses and foliage and creates a breathtaking display. Source: here. Above: For the house proud girl or guy who will really appreciate how this super stylish arrangement fits into their fancy decor! Source: here. 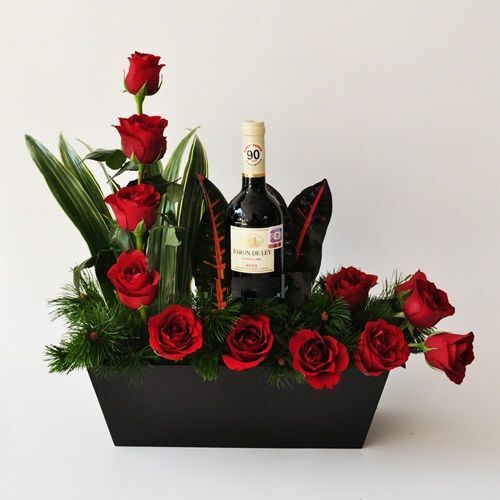 Above: Another great wine and roses idea – just a few simple flowers and foliage makes a beautiful gift. Source: here. Be sure to visit us for flower deliveries in the Jacksonville FL area! As with any curated post, I found it quite difficult to track down the origin of the above photos. I’ve provided links but if you feel I should have attributed you as the original author of any of these photos, please do get in touch.